The world’s largest democracy will head to the polls in April and May to elect a new parliament amid economic troubles, renewed tensions with Pakistan, and concerns about religious violence. Prime Minister Narendra Modi is asking Indian citizens to give his Bharatiya Janata Party (BJP) another five years to deliver the economic transformation it promised in 2014, and to keep the country safe after a recent terrorist attack in Jammu and Kashmir State. 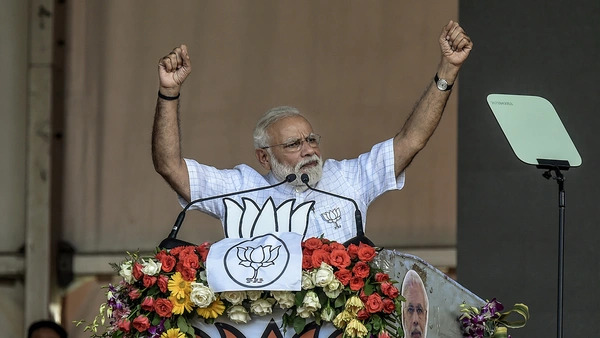 Disparate opposition parties, concerned about what rising Hindu nationalism means for India’s minorities, have banded together to try to unseat Modi. India’s lower house, the Lok Sabha, or House of the People, has 543 seats covering the country’s twenty-nine states and seven union territories. This year’s Lok Sabha elections will occur at the natural end of the current parliament’s five-year term. The scale of the democratic exercise exceeds all elections to date: out of India’s overall population of 1.3 billion people, approximately 900 million will be eligible to vote (meaning that they were at least eighteen years old as of January 1). Per the Election Commission of India, the size of the electorate is more than 84 million people greater than it was in 2014, with more than 15 million people who are eighteen or nineteen years old. This election has already surfaced concerns about social media and disinformation; even with greater attention to the problem, and partnerships between media organizations and fact-checking organizations, India’s sheer scale presents social media platforms with difficulties for controlling the spread of manipulated news. The platforms have collectively designed and committed to a voluntary code of ethics ahead of the election. The election commission, an independent statutory body, has divided polling into seven phases, stretching from April 11 to May 19, across more than one million polling stations. Ballots from all seven phases will be counted together beginning on May 23. Indian ballots accommodate a lot of diversity. The country houses seven national parties and fifty-six state parties. Another 2,349 other parties to date are registered but unrecognized, according to the election commission’s categorization. Electronic voting machines accommodate illiterate voters—approximately 24 percent of the population, so more than three hundred million people—with the prominent use of symbols next to candidates’ names. Citizens can vote for the BJP’s lotus, the Congress party’s hand, or a bicycle, ceiling fan, or banana, among a wide range of symbols, even if they are unable to read the ballot. The economy. In 2014, the BJP campaigned against the Congress-led coalition government by focusing on economic growth, jobs, and good governance. Five years on, the Modi government has not accomplished its ambitions on the economic front. The benefits of some important reforms were offset by a currency demonetization and the overly complex introduction of a national goods and services tax. Growth took a hit, and the economy has only just begun to recover. While the Modi government has made progress on quality-of-life initiatives such as cleanliness, sanitation, highways, and financial inclusion, the economy is not generating sufficient jobs to absorb India’s large and growing working-age population. Leaked accounts of unreleased government data suggest that unemployment could be at a forty-five-year high of around 6.1 percent; the private Centre for Monitoring Indian Economy put unemployment at more than 7 percent in recent months. Add to that a long-running economic crisis for rural India, which has suffered from poor rainfall in recent years, made worse by a decline in global agricultural prices. National security. The Modi government’s response to the February 14 suicide attack in Kashmir, which was claimed by a Pakistan-based, UN-designated terrorist group, put national security on the campaign agenda in a way not seen in at least two decades. The government’s decision to target a terrorist facility across the border in Pakistan with air strikes has become a point of campaign pride for Modi, an invocation of strength signaling a tough approach to Pakistan. How highly this will rank for voters is unknown, but by emphasizing its national security bona fides, the government hopes to distract from economic problems. The BJP has launched a national campaign, Main Bhi Chowkidar!, that portrays the prime minister and party members as watchmen or guards of the nation. To prevent misuse of the apolitical military in campaigns, the election commission issued a prohibition in early March on the use of images of defense personnel. The future of Indian values. Opposition parties across India have expressed concern throughout the Modi government’s tenure about rising intolerance for religious minorities and India’s future as a secular country. Many pundits worry that the Hindu nationalist BJP will undermine the secularism enshrined in India’s constitution. Recent increases in religious violence, particularly in Rajasthan and Uttar Pradesh [PDF], have underscored this concern. (Human Rights Watch recently documented cases in which vigilante mobs, in the name of cow protection, have targeted Muslims and low-caste workers involved in the cattle trade or in handling cow carcasses.) Leaders from more than twenty opposition parties across the country have loosely banded together in a grand alliance, the Mahagathbandhan, to fight what they call “communal forces.” In an unusual show of unity, the disparate grouping convened a rally in Kolkata in January, expressing concerns about communal violence, the economy, rural distress, and the reliability of electronic voting machines. Whether these diverse parties can maintain a united front at the ballot box, however, is another question—as is whether they will persuade voters in politically strategic states.